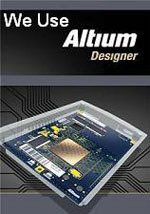 We design great electronic products. to the software that powers electronic products and cloud services. Looking For Complete Product Design? Our wealth of knowledge and experience makes us the ideal choice for electronic product development. Companies can use us as their entire engineering department, offering substantial savings over providing these facilities in house. Alternatively, our services can be used to supplement existing in house facilities. We are able to develop new products and software projects on short timescale's, getting your concept to market in the minimum time. Need A Solution For A Special Project? We also specialise in providing custom designed solutions for one-off special projects. 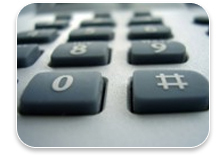 Our in-house facilities allow us to provide solutions quickly and cost effectively. Just Looking For Occasional Subcontract Services? If you're a design house needing to outsource we are also happy to work as a silent subcontractor and we won't contact your clients directly to introduce ourselves! IBEX is an approved Microchip Design Partner - one of the worlds largest microcontroller manufacturers. We love embedded designs and we've a huge amount of experience designing products utilising everything from very low cost 8 bit microcontroller's to incredibly powerful 16 and 32 bit processors. We've built up massive libraries of tried and tested software modules over the years, allowing us to provide extremely competitive quotes for many projects. 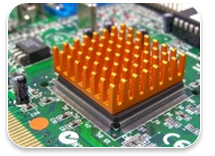 Our in house services include assembler, C, C++ and C# embedded software development. Open source hardware is a great solution for lots of one off and specialist projects, but it often needs some level of bespoke electronics and software drivers adding for a specific task. We design for open source hardware platforms such as Arduino and Raspberry Pi and we are able to quickly and cheaply design hardware add on's and software drivers for client projects. This can either be as a complete finished solution, or to allow your own onward in-house development. If you are looking at open source hardware for an upcoming project why not use our expertise to do the complex or specialist low level hardware side for you and ensure it is designed correctly. 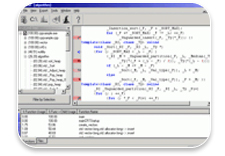 We can even write the basic template software for you, allowing you to get on with your main software functionality. We also contribute a great deal of our knowledge and resources back to the community through open sourcing and publishing many of our company’s internal notes and libraries. You can see some of our open source resources here. We don't just design software for electronic products. We also provide full PC software development services using Visual C# and Visual C++ .NET. Internet connected electronic products often require cloud functionality. We also develop software for web servers and online cloud services using PHP, MySQL, Amazon Web Services (AWS), etc. Our experience is this field ranges from simple product update servers, to highly complex cloud services with massive data storage back ends. In addition to static compute instances we also develop containerized and virtualized applications, allowing systems to automatically scale and move in response to both changing demand and business requirements. Often our clients want the products we design for them to be linked into their own web sites in some way and one of our specialities is developing easy to use API's, so your web designers can quickly and easily hook into their functionality. 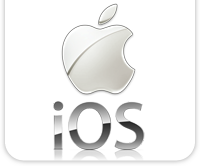 We are approved members of the Apple MFi program, which means we are authorised to access the technical documentation and standards necessary to design and test devices that connect to Apple iOS devices. We also provide product enclosure design to complete your overall product development. Our in house capabilities cover a range of technologies or should you require an enclosure design that needs a specialist in this field we are happy to work with an enclosure designer you have selected. Over the years we have designed many different types of equipment. The demands of our clients are extremely diverse and we pride ourselves on being able to provide the solution for virtually any project. This has lead us to deal with many technologies, in many different fields. Where we don't have the in-house facilities or knowledge required for an aspect of a project, we use the services of trusted subcontractors. This provides our clients with the same high quality service, from a single source, whatever their project requirements. Our reputation is only as good as our last job. We pride ourselves on delivering the highest quality, on time and on budget. To see what our clients say about us click here. Whatever the requirements of your next project, no matter how small or large, contact us to see how we can provide the complete solution.